Product #16265 | SKU RS-NEXFS700 | 0.0 (no ratings yet) Thanks for your rating! 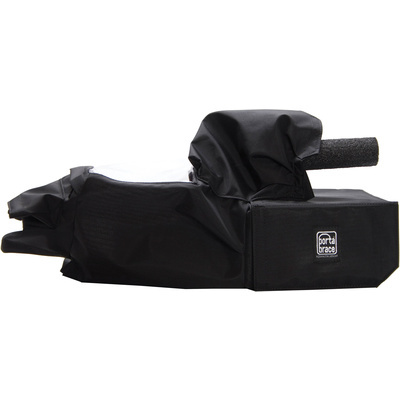 The Porta Brace Rain Slicker for NEX-FS700 provides the camcorder with protection from adverse weather conditions. The Rain Slicker is made of a Cordura material with a waterproof lining. The lens cover is designed to accommodate different size lenses and even allows sufficient space and access for operating a follow focus. Other features include clear vinyl windows and a microphone fly.